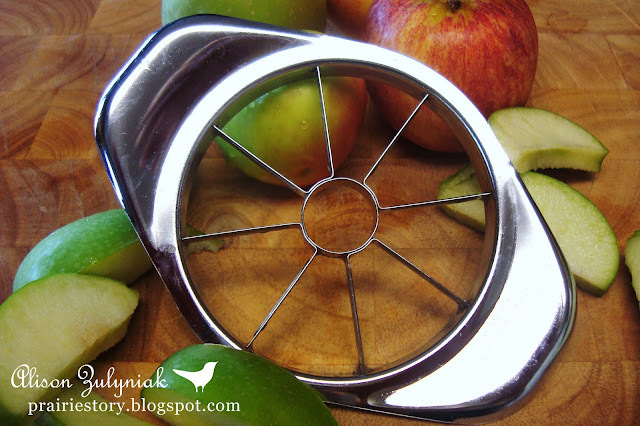 Every kitchen needs an Apple Slicer Corer! Great for cutting an apple for a quick snack or even more indisposable if you are cutting several apples to bake with! Tip: If I need to peel an apple I usually peel with paring knife after I've used this slicer. Oh I grew up with one of these!! We had a huge apple tree in the backyard and we canned apple sauce all time. My grandfather would use this and make us sauted apples in the morning. Yummy! Works great on new potatoes. Perfect wedges every time!